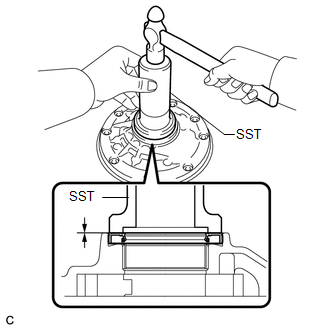 (a) Using SST and a hammer, install a new oil seal to the oil pump body. 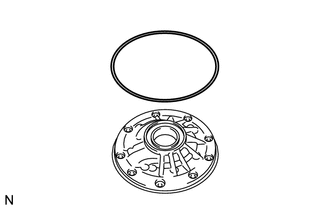 (a) Coat a new O-ring with ATF and install it to the oil pump body. Ensure that the O-ring is not twisted. 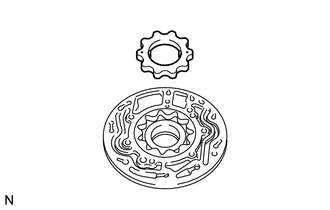 (a) Coat the front oil pump driven gear with ATF and install it to the oil pump body with the marked side up. 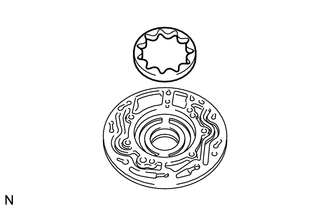 (a) Coat the front oil pump drive gear with ATF, and install it to the oil pump body with the marked side up. 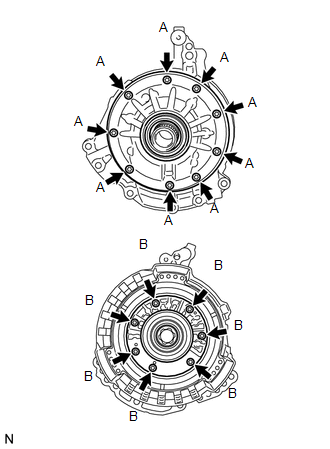 (a) Align each knock pin of the stator shaft with the holes in the oil pump body and install the stator shaft to the oil pump body. (b) Using a "TORX" socket (T30), install the 16 bolts.